With an extended selection of high-quality Brush DC Spur Gearmotors, Anaheim Automation offers a cost-effective solution for your automation requirements. The product lines includes motor frame sizes ranging from 24mm to 90mm, gear ratios ranging from 3:1 to 3000:1, and up to 19,026 oz-in of torque! Delevoped for high-volume OEM applications, Brush DC Gearmotors will provide a cost-effective solution, never sacrificing quality of system performance. The BDSG-24-30 Series Brush DC Spur Gearmotor is a cost-effective solution for motion control applications such as medical, semiconductor, pumps, robotics, CNC, or whenever a low-cost Brush DC motor and a spur gearbox is required. Available in 17 gear ratios from 11 to 450, the 12Volt BDSG-24-30 Series gearmotor offers continuous torque of up to 41.66 oz-in (depending upon gear ratio chosen). 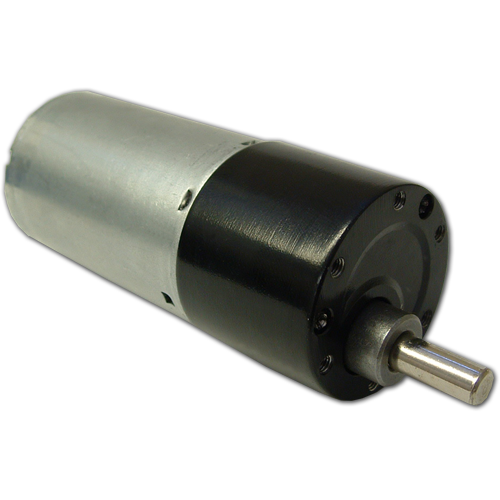 These gearmotors measure 24mm (.94 inches) in diameter and are fully reversible. The BDSG-27-20 Series Brush DC Spur Gearmotor is a cost-effective solution for motion control applications such as medical, semiconductor, pumps, robotics, CNC, or whenever a low-cost Brush DC motor and a spur gearbox is required. Available in 17 gear ratios from 11 to 450, the 12Volt BDSG-27-20 Series gearmotor offers continuous torque of up to 15.55 oz-in (depending upon gear ratio chosen). 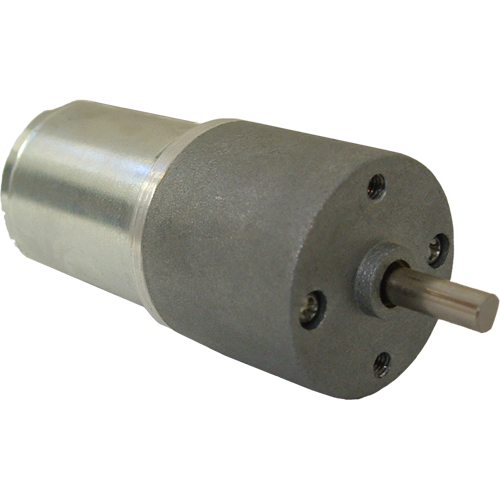 These gearmotors measure 27mm (1.06 inches) in diameter and are fully reversible. The BDSG-37-24 Series Brush DC Spur Gearmotor is a cost-effective solution for motion control applications such as medical, semiconductor, pumps, robotics, CNC, or whenever a low-cost Brush DC motor and a spur gearbox is required. Available in 16 gear ratios from 10 to 3,000, the 12Volt BDSG-37-24 Series gearmotor offers continuous torque of up to 83 oz-in (depending upon gear ratio chosen). These gearmotors measure 37mm (1.45 inches) in diameter and are fully reversible. The BDSG-37-30 Series Brush DC Spur Gearmotor is a cost-effective solution for motion control applications such as medical, semiconductor, pumps, robotics, CNC, or whenever a low-cost Brush DC motor and a spur gearbox is required. Available in 16 gear ratios from 10 to 3,000, the 12Volt BDSG-37-30 Series gearmotor offers continuous torque of up to 83 oz-in (depending upon gear ratio chosen). 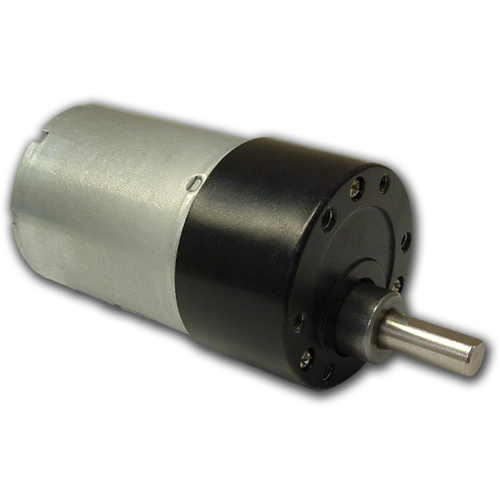 These gearmotors measure 37mm (1.45 inches) in diameter and are fully reversible. The versatile BDSG-37-40 Series Brush DC Spur Gearmotor is a cost-effective solution for motion control applications such as medical, semiconductor, pumps, robotics, CNC, or whenever a low-cost Brush DC motor and a spur gearbox is required. Available in 11 gear ratios from 6 to 300, and offered in 6, 12, and 24Volt versions, the BDSG-37-40 Series gearmotor offers continuous torque of up to 83 oz-in (depending upon gear ratio chosen). These gearmotors measure 37mm (1.45 inches) in diameter and are fully reversible. The versatile BDSG-37-57 Series Brush DC Spur Gearmotor is a cost-effective solution for motion control applications such as medical, semiconductor, pumps, robotics, CNC, or whenever a low-cost Brush DC motor and a spur gearbox is required. Available in seven gear ratios from 6 to100, and offered in 12 or 24Volt versions, the BDSG-37-57 Series gearmotor offers continuous torque of up to 83 oz-in (depending upon gear ratio chosen). These gearmotors measure 37mm (1.45 inches) in diameter and are fully reversible. The BDSG-60-75 Series Brush DC Spur Gearmotor is a cost-effective solution for motion control applications such as medical, semiconductor, pumps, robotics, CNC, or whenever a low-cost Brush DC motor and a spur gearbox is required. Available in 5 gear ratios from 3 to 75, the 24Volt BDSG-60-75 Series gearmotor offers continuous torque of up to 275 oz-in (depending upon gear ratio chosen). 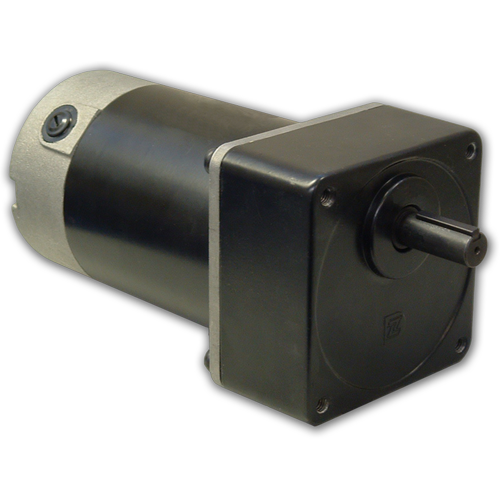 These gearmotors measure 60mm (2.34 inches) in diameter and are fully reversible. The BDSG-60-105 Series Brush DC Spur Gearmotor is a cost-effective solution for motion control applications such as medical, semiconductor, pumps, robotics, CNC, or whenever a low-cost Brush DC motor and a spur gearbox is required. 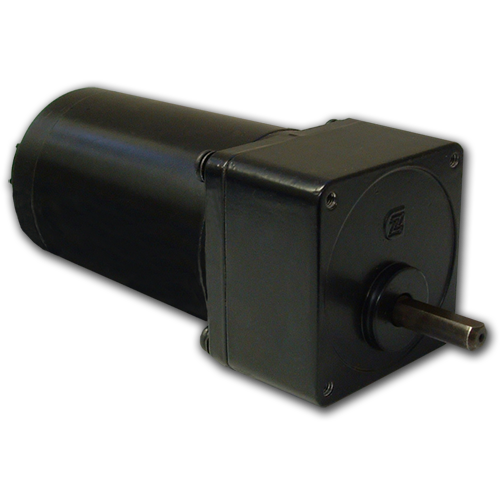 Available in 14 gear ratios from 3 to 150, the 24Volt BDSG-60-105 Series gearmotor is a bit longer than the BDSG-60-75 series, therefore it has a higher output, and continuous torque of up to 347 oz-in (depending upon gear ratio chosen). 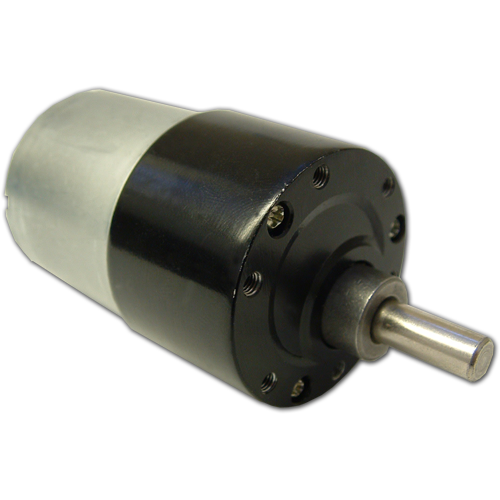 These gearmotors measure 60mm (2.34 inches) in diameter and are fully reversible. The BDSG-71-110 Series Brush DC Spur Gearmotor is a cost-effective solution for motion control applications such as medical, semiconductor, pumps, robotics, CNC, or whenever a low-cost Brush DC motor and a spur gearbox is required. Available in nine gear ratios from 3 to 75, the 24Volt BDSG-71-110 Series gearmotor offers continuous torque of up to 1,389 oz-in (depending upon gear ratio chosen). 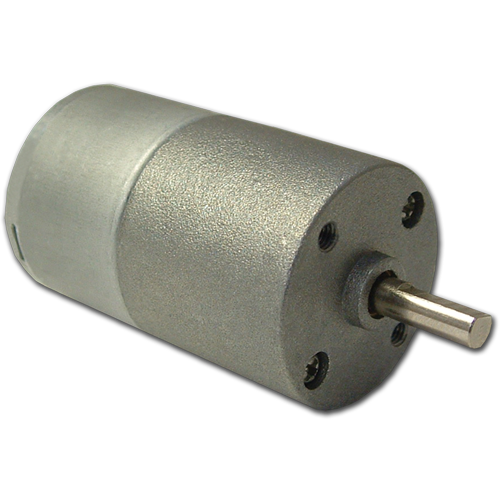 These gearmotors measure 71mm (2.79 inches) in diameter and are fully reversible. The BDSG-83-125 Series Brush DC Spur Gearmotor is a cost-effective solution for motion control applications such as medical, semiconductor, pumps, robotics, CNC, or whenever a low-cost Brush DC motor and a spur gearbox is required. Available in ten gear ratios from 10 to 3,000, the 24Volt BDSG-83-125 Series gearmotor offers continuous torque of up to 2,750 oz-in (depending upon gear ratio chosen). 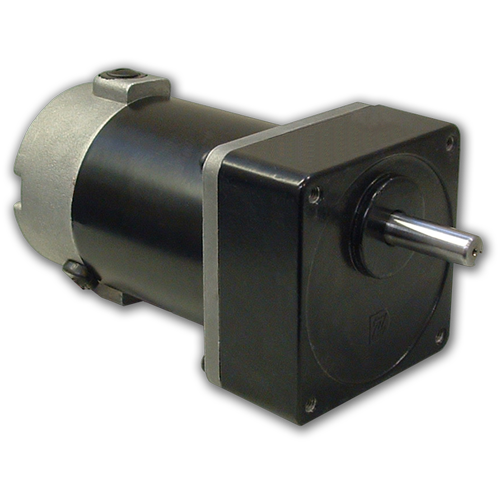 These gearmotors measure 83mm (3.29 inches) in diameter and are fully reversible.